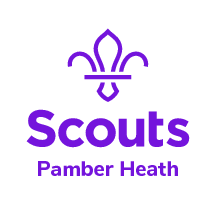 Pamber Heath Scout Group aims to offer challenge and adventure to all its members. We believe in helping our young people fulfil their potential by working in teams, learning by doing and thinking for themselves. We’re working to make Scouting available to all and we’re passionate about what we do. Through the adventure of Scouting, young people get to take risks in a safe environment, and have their first taste of responsibility. We give young people experiences they’ll never forget. The sort of adventure we offer is the chance to experience something different and the opportunity for young people to discover their potential. When a Beaver Scout wakes up the morning after a sleepover, or a Cub Scout has just got over her fear of heights by completing her first abseil – that’s adventure. This online Information Pack gives you everything you need to join in! Pamber Heath Scout Group meets at its very own Den on Pelican Road in Pamber Heath, RG26 3EN. The Group was started in 1950 and attracts young people mainly from the Pamber Heath, Silchester, Tadley & Baughurst areas. There are approximately 60 6-14 year olds and a team of around 12 adults in the Group. We have three Sections in the Group; Beavers, Cubs and Scouts. There are two other Sections in Scouting, delivered at a District level. These are Explorers, for 14-18 year olds and Network, for 18-25 year olds. The Group Executive Committee is made up of: Group Chair, Treasurer, Secretary, the Group Scout Leader, Section Leaders and Facility Manager. Additional members may be co-opted or nominated, such as a Fundraiser, Facilities Manager or Group Administrator. The Group Chair is nominated by the GSL and approved by the Group Scout Council at the Annual General Meeting (AGM) normally held in July. All parents are automatically members of the Group Scout Council. The treasurer and the secretary are also elected at the AGM. The Executive Committee operate in line with Policy, Organisation & Rules (POR) Rule 3.23: The Constitution of the Scout Group. The word ‘Programme’ in Scouting refers to the range of activities, challenges and experiences that young people experience in Scouting. The Scouting Programme provides a structure of badges and awards, which are progressive through the sections, and based on a number of objectives. The objectives are based on Scouting’s Purpose to ‘actively engage and support young people in their personal development, empowering them to make a positive contribution to society’. The Scouting Programme for all sections is based around three main themes: outdoor and adventure, world and skills. This programme of activities is planned by the leadership team in partnership with young people, and incorporates elements from each theme, to offer young people the most interesting and diverse experience. There is flexibility within Scouting which means that all young people, regardless of their abilities, can enjoy and achieve. We use Online Scout Manager (OSM and also known as My.SCOUT) to enable us to deliver our Programme. When you sign up on our Waiting List, you will add some limited details (name, DOB & contact details) directly onto OSM. When a place is available, you will be transferred to the Section and sent a link to enable you to add more details (including medical & address details). This way, there is no need for paper forms and no need to email personal details back and forth. All information regarding the programme and events will come through email. You can visit the site at any time to review a child’s programme, sign up for events, look at badge progress, sign up to the parent rota, make payments and sign up to Giftaid. Please do embrace this functionality as we could not cope with the admin without it! All we need from you to join our waiting list is your child’s name & date of birth, and your email address. Click the button below to add these directly to our Waiting List. We regularly review the list and will contact you when there is an opportunity to join! Waiting list/prospective members are also added to our Newsletter, but are more than welcome to unsubscribe at any point. Those whose family members have taken up a real volunteering role (beyond Occasional Helper/Parent Rota) such as Executive Committee Member or Assistant Section Leader. Those children who already have siblings in the Group. Thereafter, those children that have been on the waiting list the longest. We charge £120 a year for all weekly meetings and the annual fee to HQ which includes insurance for members. After your child has attended a couple of weeks, we will charge £12 a month through Online Scout Manager, with a payment holiday in July and August. Alternatively, you can pay the whole annual fee via Cheque to Pamber Heath Scout Group. We prefer not to accept cheques on a monthly basis due to the associated processing overhead for our volunteer Treasurer. Please get in touch with any Leader or Executive Member who you feel comfortable speaking with, in utmost discretion, if you find these payments difficult as no child will be left behind. We also commit to fundraising to support the Den and to offset the cost of the more expensive camps/activities. Does your employer offer any match funding schemes you could speak to us about? We have one public page and three closed groups. The closed groups allow you to have discussions with the Leaders and other parents directly, as well as share pictures but you are advised not to discuss personal matters here. Ask your leader how to find the groups! Although some of our Scouts are old enough to have Facebook accounts and email addresses, they are asked not message Leaders directly. Scouts can post on the Closed Groups or send emails through if they copy a parent. Leaders will share any direct communications they receive with another Scouting adult for Safeguarding reasons. Beavers and Cubs only require a Beaver Jumper or Cub Jumper. Scouts require a Scout shirt or blouse. We will provide badges and a knecker/scarf and woggle. Your child’s unique link to Online Scout Manager will show you the position of the badges awarded! You can also buy Pamber Heath Scout Group or Scouting Polo shirts as additional activity wear. For weekly meetings, please send children in comfortable activity wear on their bottom halves. Because we have the common and the forest on our doorstep we will often be found outside so you will need to send waterproofs. We also strongly advise considering cheap walking boots instead of trainers. We will issue a kit list before camps but it will be possible to borrow equipment if you do not have it, so please get in touch if you need help. We will ask for either school uniform bottom half or Scout trousers, plus smart black shoes to be worn on parades or ceremonial events. Buy uniform at http://shop.scouts.org.uk/ . Buy Pamber Heath Scout Group t-shirts at https://www.tesco.com/direct/ues/ . Prefer to try kit on? Buy from Basingstoke Scouting Supplies, Base 2000 building, behind the Popley Community Centre, Carpenters Down, Popley, Basingstoke RG24 9AE. It is open 6-8pm Thursday and 10-noon Saturday during Hampshire Term Time.